Modeshift STARS (Sustainable Travel Accreditation and Recognition for Schools) award is given to schools for successfully demonstrating how they support sustainable forms of travel. 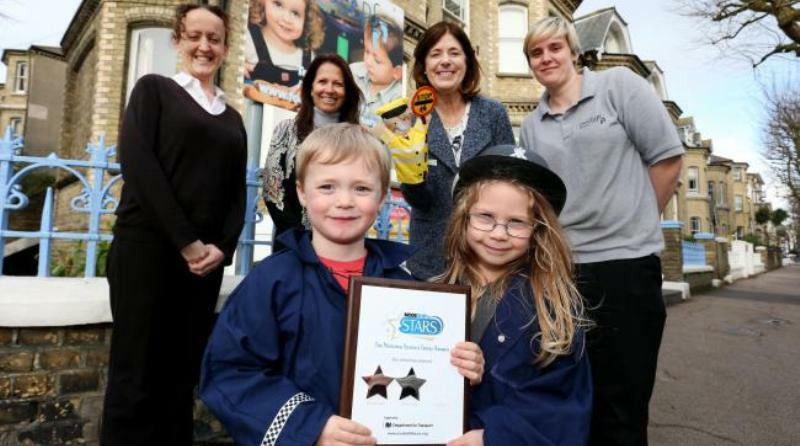 Footsteps Nursery in Cromwell Road, Hove, has been the first nursery in the country to receive this award. To achieve the silver standard, the nursery took part in walking week. They have also created a five-minute walking map to encourage walking for the last five minutes of their journey to and from nursery. The children have learnt scooter and pedestrian skills and spoke to firefighters and bus drivers to learn all about road safety and why it is important. The nursery is now aiming for the gold standard. Brighton and Hove City Council is currently working with several other nurseries to help them also achieve this award. Find out more about Modeshift STARS here.